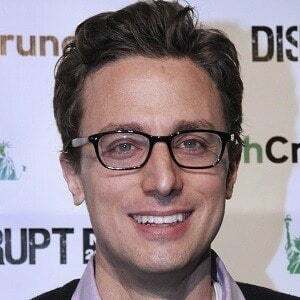 Entrepreneur best known as the co-founder of The Huffington Post and BuzzFeed. After The Huffington Post was bought by AOL by 2011, he left to concentrate on Buzzfeed full-time. In the 90's, he taught computer science at Isidore Newman School. He and Buzzfeed first gained major national attention when they became the first to break the news that John McCain was endorsing Mitt Romney at the 2012 Republican Primary. He married Andrea Harner. His sister is comedian Chelsea Peretti. He co-founded The Huffington Post along with Ariana Huffington.